Norwegian singer-songwriter Ingvild Koksvik conjures evocative soundscapes that help the listener tune in to the searching serenity within us all. The purity of her voice has a clarity that lifts everyday stress. 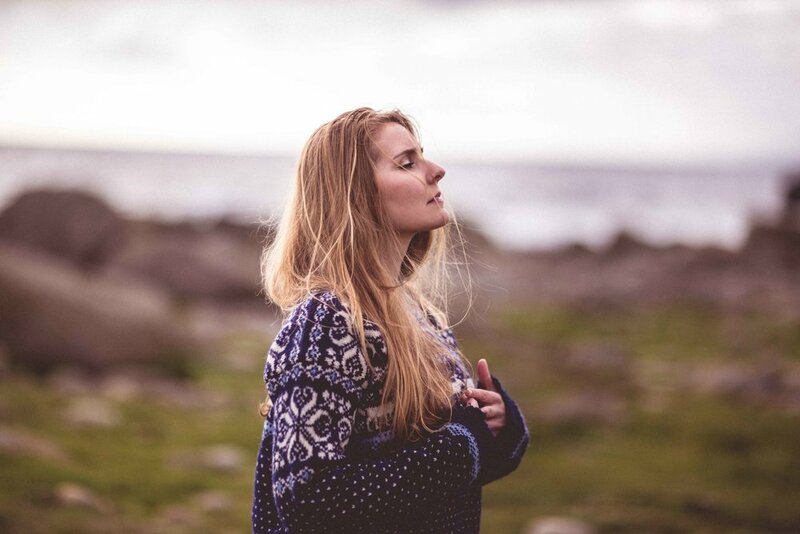 Haunting and atmospheric, Ingvild’s songs distills the tranquil solitude and majesty of her home in Farsund, on the windswept Lista peninsula, into a very Nordic soul. "... she's this beautiful and almost ethereal creature wandering through vast Norwegian landscapes and singing in this clear and goosebump-inducing voice that sounds like it's from a dream, one of your favorite dreams, the kind that make you regret you eventually woke up"
"Listening to Ingvild's music is a transportive experience. Her songs are a window into the pristine, pure fjords and mountains of Norway. Fresh-faced and young, but with an almost ancient aura, her music is the ultimate escape"